Is there a better alternative to Studio Manager? Is Studio Manager really the best app in Project Management category? Will Studio Manager work good on macOS 10.13.4? Studio Manager is a state-of-the-art vertical market solution for the business side of creative services. We rebuilt it to take advantage of the hugely powerful and cool FileMaker. 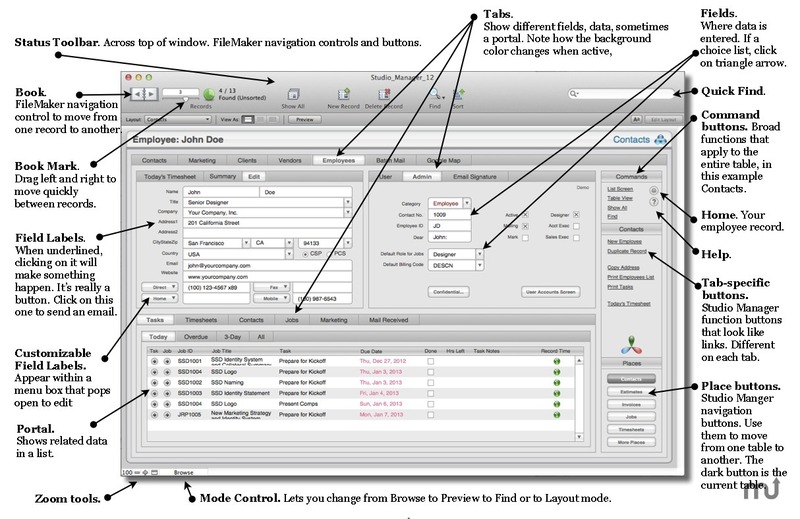 Unlike the vast majority of products of this kind, Studio Manager allows you to customize it very extensively - including fields, layouts and scripts. You can get up and running really quickly and then add customizations over time as you go. You can use FileMaker 14's Database CSS to quickly adjust the look of screens and reports. Studio Manager needs a rating. Be the first to rate this app and get the discussion started! Studio Manager makes short work of job cost tracking, timesheets, estimating, contact management, scheduling, billing, receivables, purchase orders and correspondence. This is a mission-critical, vertical market package targeted directly to your needs as creative services professionals.